Included within the ticket fare per passenger. 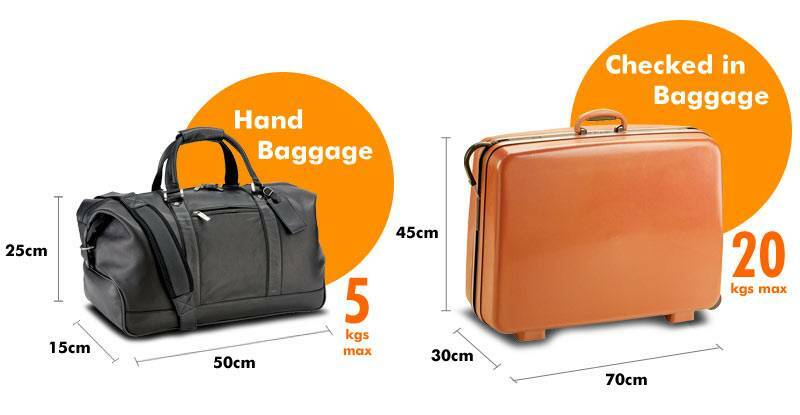 Each passenger may carry one piece of hand luggage and one piece of “checked in baggage”. Baggage exceeding the specified criteria may be carried by booking an extra seat. Surfboards, Sailboards, Golf Clubs, Windsurfers and similar items. Bicycles (folding / non folding). Should a passenger present himself or herself for travel with any prohibited items, carriage will be denied unless the passenger properly and safely disposes of the prohibited item(s). Please note that for safety reasons, access to the entrance/exit, emergency exit and aisle may not be restricted or impeded. Or luggage allowance is different to that of airlines luggage allowance due to the physical constraints of the bus.